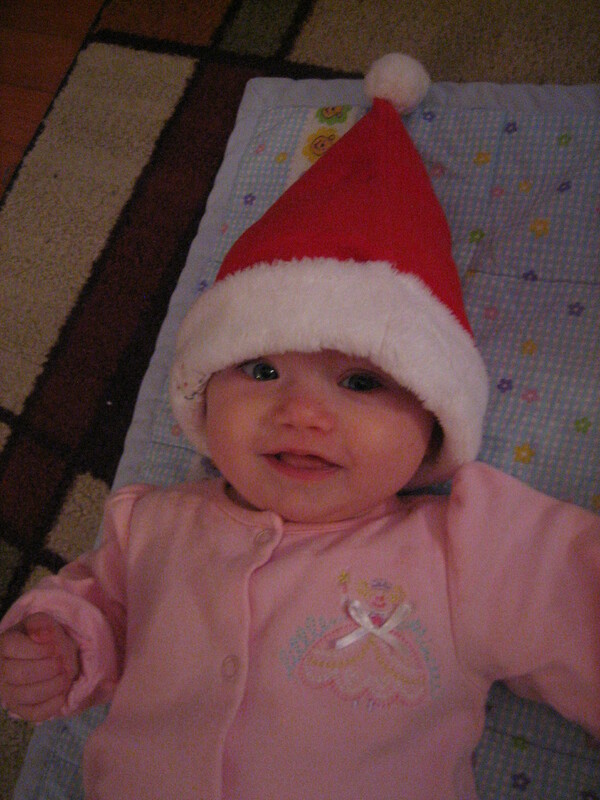 Our first Christmas as a family: a momentous weekend! It began with my awesome husband taking me for my first run in over a year. He slowed down to my 12-minute-mile pace as we jogged around Green Lake; I stopped twice to stretch and walked about a quarter mile, but jogged for a total of 2.5 miles. I did a happy dance at the end. And cried a bit. I forgot how much I missed how running makes me feel until I got back to it. Christmas Eve afternoon was our Open House. We can’t really go many places with the babies–certainly not to any evening gatherings–so I decided to make people come to us. =) We had cookies and chocolate cheesecake candy cane squares, and bread and bruschetta, and tea and coffee. But really, what we had was merriment and good friends and baby love. It may well become a tradition for future Christmases when we are not traveling. We skyped briefly with my family at their Christmas Eve celebration so Grandma could see the babies, and then it was off to Mass, a whirlwind of dressing babies, packing the diaper bag, prepping bottles to feed them at church. Our neighbor’s daughter sat with us to help us feed them at the beginning of Mass. I sat in the quiet Gathering Room off the foyer of the church, nursing Theresa and listening to Christmas hymns and readings about the arrival of a holy infant who would change everything. 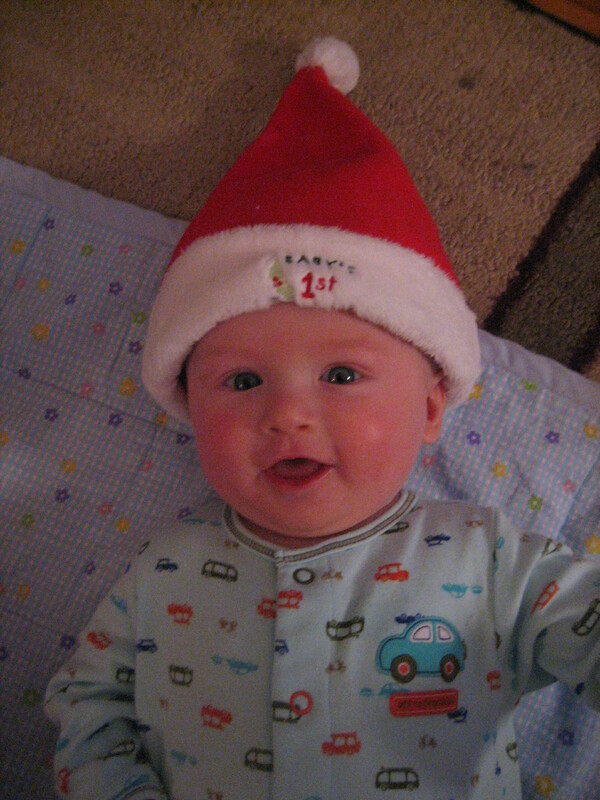 God was very, very smart to come to this world in the form of a baby. As I carried her to and from the room, elderly women kissed her foot and other parents with small children exchanged names and ages with me. Babies bring so much joy just from being themselves–it makes me feel like I’m doing something good in the world to carry this sweet little one who makes others smile. We put the babies to bed immediately after Mass, since they had never been out so late. Christmas morning was another whirlwind of feeding babies, opening gifts, putting babies to bed for their morning naps, and then packing for our overnight to Alan’s parents’ house, two hours away. We packed our minivan full and took off with some presents left unopened in order to be on time for Christmas dinner. The babies got many toys and clothes and books from our generous family and friends, and we (especially Daddy) look forward to playing with them. 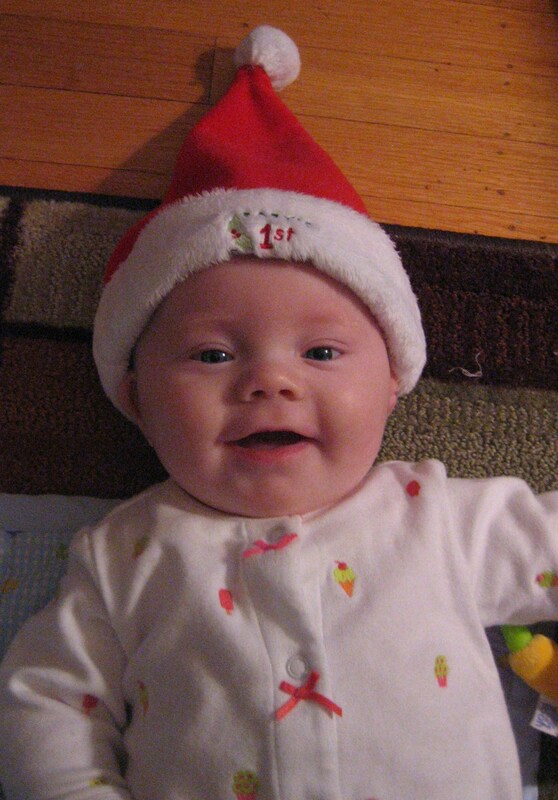 We hope your Christmas was merry and bright, and that you have a wonderful beginning to 2012!